The sky over Lake City turned an eerie purple after Hurricane Michael passed through the area. The Lake City sky turned an ominous purple Wednesday after Hurricane Michael tore through the Florida Panhandle. 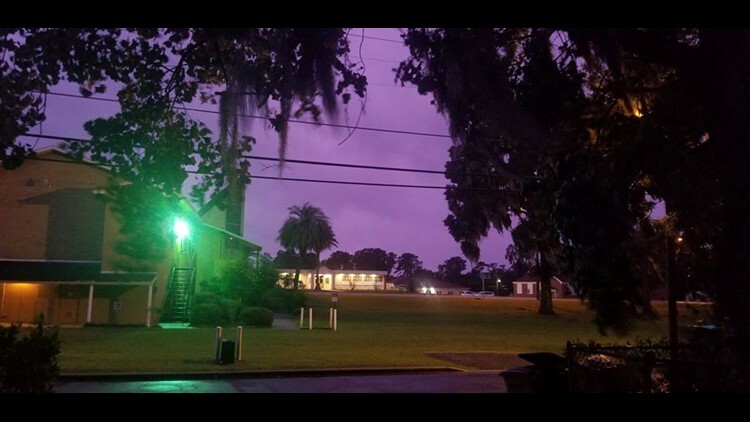 First Coast News' Shelby Danielson captured this creepy footage of the purple sky. FCN viewer Kaci Young sent us this time-lapse of a busy street underneath the purple sky. The video was originally shot by Esta Eberhardt. FCN viewer Ann Ramer shared this photo from her home Lake City.